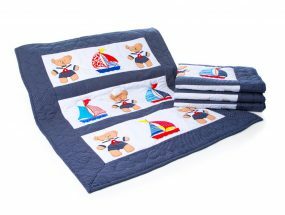 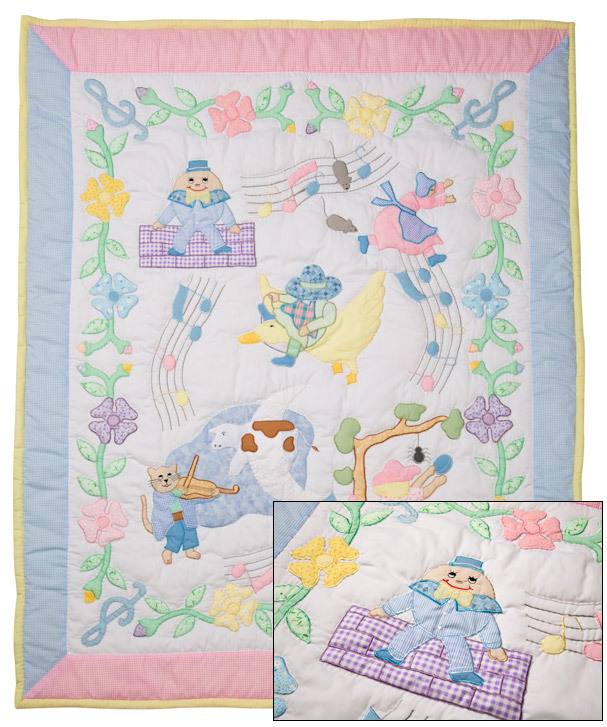 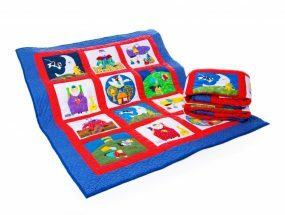 Our Mother Goose Nursery Rhyme Baby Quilt in its beautiful pastel colours is suitable for a baby boy or girl. 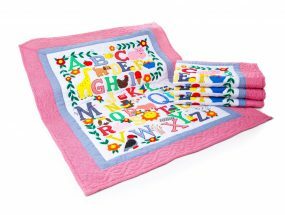 It can double up as a playmat or wall hanging and is a lovely way to start learning your Nursery Rhymes. 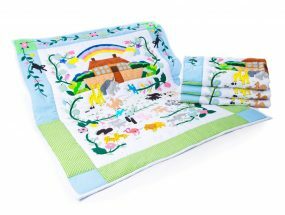 As with all our quilts it is beautifully hand made by a very talented group of ladies in the Philippines.